Little Gwendolin is ill, she is running a temperature. And her tongue is bright red – children know what that’s like. Also dad saying “I will give you a cuddle. Drink your tea and sleep a little” will be familiar to children. With the tabs they can help Gwendolin to get well again: they can measure her temperature and help her drink her tea. And indeed: the following morning Gwendolin is already much better and energetically jumps out of bed! 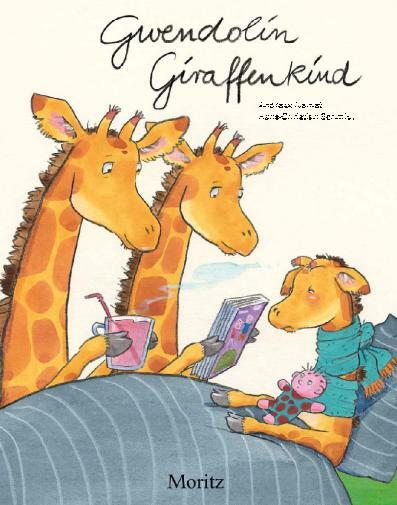 The board book specialists Német and Schmidt from Dresden have succeeded in preparing a truly charming book that corresponds to the children’s world of experience. Children will love it just as much as it will help their parents to comfort them during an illness.